Our best-seller, the Ultimate Smile Gold Kit, was designed for maximal usage and maximal results. If you've never been able to use an at-home whitening kit before because it was too painful and inconvenient, then the Ultimate Smile Gold Kit will work wonders for you. The special Whitening Gel is our latest innovation-a patent-pending "primer for teeth" that accelerates the release of stain-fighting oxygen ions, while eliminating discomfort. Produced by our leading laboratories in the United States, our uniquely advanced technology surpasses any other At-Home Whitening Kits. Our Whitening Gel formula has a specific balance of ingredients forming together to create a highly potent but sensitivity-proof product with proven results. 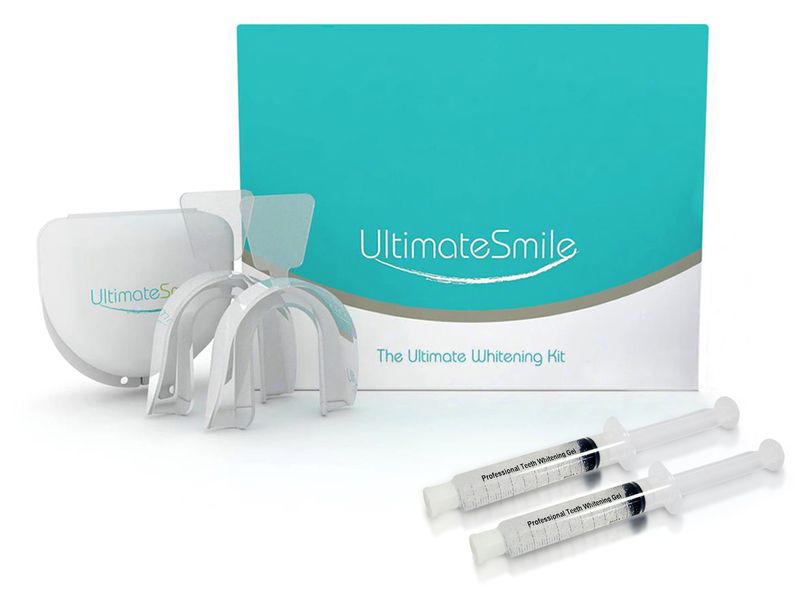 Our Ultimate Smile silicon trays provide complete comfort and ease while whitening. With its gel- like and easy fit form, these trays were structured with holes on either side to create an easy-breathing and comfortable experience.Also included, the Cheek Retractor, designed as an additional tool forbetter comfort. After usage, rinse trays and return to Ultimate Smile case. You will never find the need to use messy strips again, and the best part is- this Ultimate Smile Gold Kit will last a lifetime; all you need is our Ultimate Smile Gel Refills if you ever run out! Truly Professional At-Home Whitening System, with In-Office Professional Results.